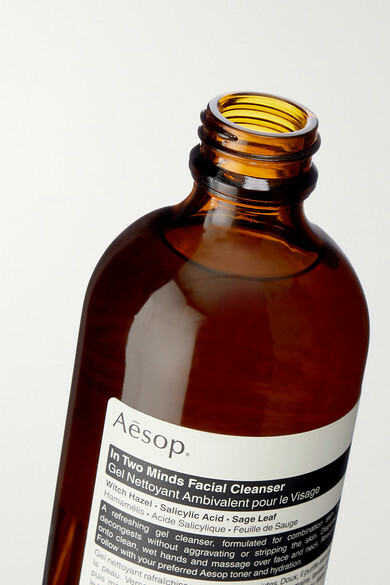 Aesop spent three years developing its newest 'In Two Minds' collection - the brand wanted to create a line that effectively addresses the concerns of combination skin while staying true to its minimalist, natural roots. The most important step in your facial routine, this cleanser utilizes Salicylic Acid and Witch Hazel to unclog and minimize pores while Sage Leaf soothes and provides lightweight hydration. The subtle scents of Rosemary and Lavender are perfect for reawakening the senses first thing in the morning.